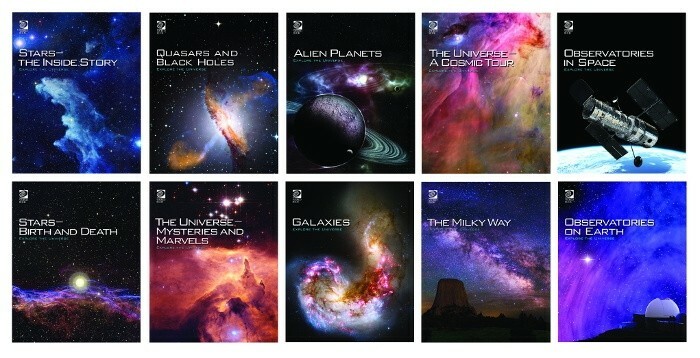 A highly illustrated, 10-volume examination of celestial wonders beyond the solar system, covering the most important objects in the universe and how scientists study them. 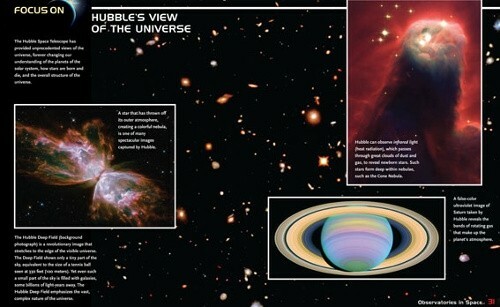 Explore the Universe is a companion set to The Solar System and Space Exploration Library. 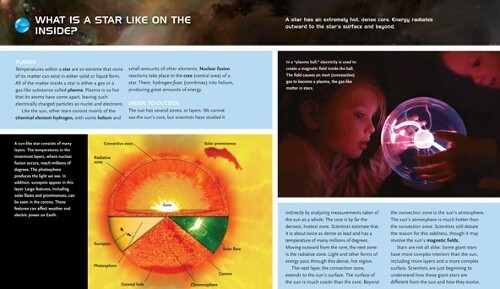 Together, the two sets cover astronomy curriculum from early elementary to high school. Explore different types of these amazing balls of light and learn why they shine. Explore how stars are born in great clouds of gas and dust, and why they sometimes die in violent explosions. Explore strange planets beyond the solar system, from massive rocky worlds to gas giants, and learn about the search for alien life. Explore the islands of stars that fill the universe, stretching from our nearest galactic neighbours to ancient giants at the edges of space and time. Explore our galaxy from the monstrous black hole at its center to its swirling, starry arms and peer into its violent future. Explore the history of stargazing from Earth and learn how telescopes transformed familiar lights in the night sky into unimagined wonders. Explore the exciting history of orbiting telescopes and learn how their breathtaking views of deep space have revolutionized astronomy. Explore some of the most mysterious objects in space—powerful black holes that extinguish light and intense quasars that outshine an entire galaxy. Explore the origins of space and time, mysterious forms of matter and energy, and the ultimate fate of the universe. Explore time travel, extra dimensions, hidden universes, and other cosmic curiosities.